Today I would like to give you a glimpse into a small project I helped with this summer. Some dear clients bought a log cabin in our neighborhood, and they wanted help styling a powder bath. You could see their vanity from the front door. 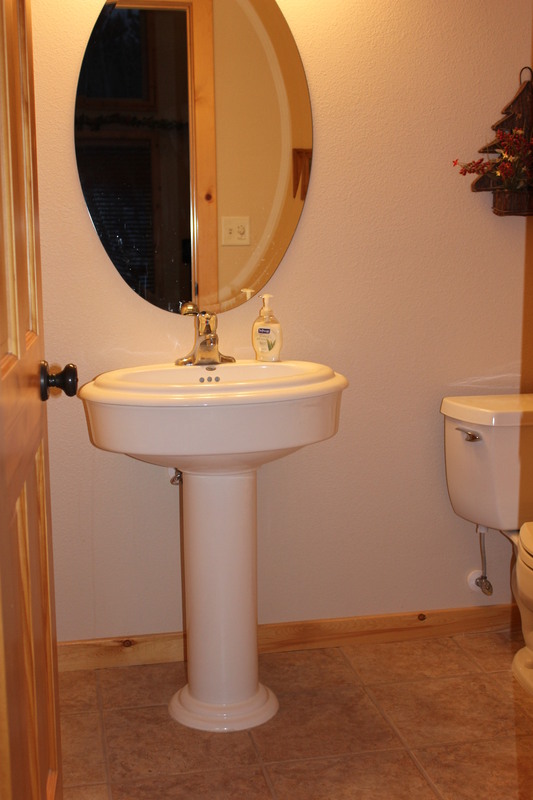 My clients wanted to see a nice piece of furniture, instead of the generic white pedestal sink that was there. They also wanted more storage. 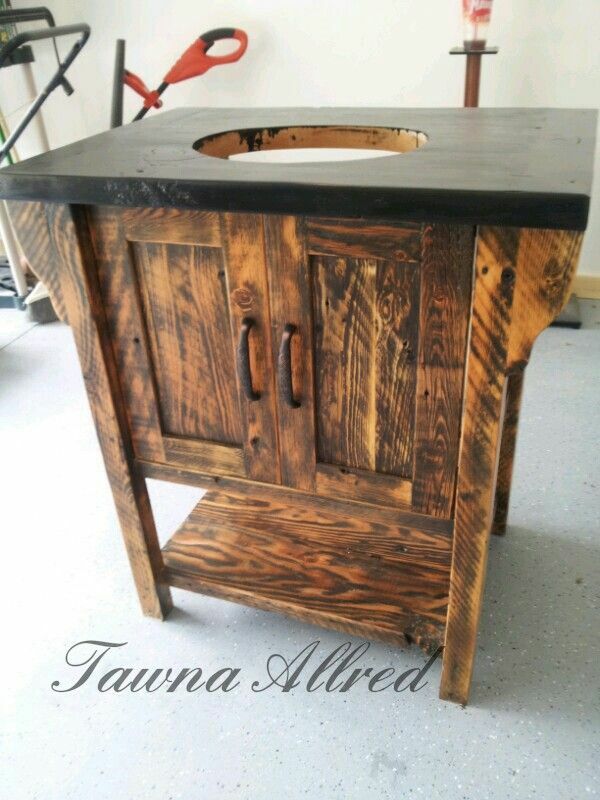 We worked together and I drew up a vanity that was more rustic, had storage but wasn’t too “heavy” for the small space, and was made out of barn wood. Here is the vanity sketch. 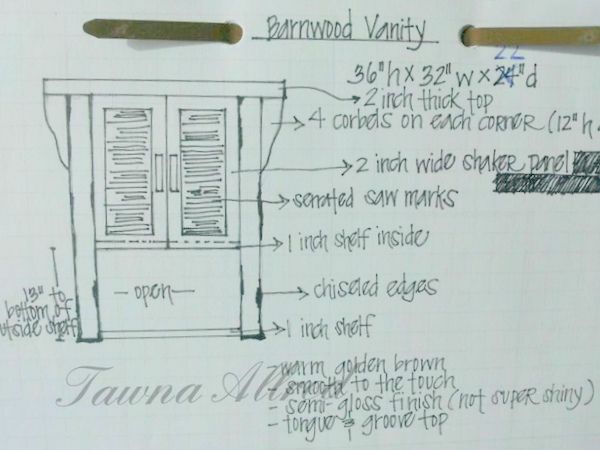 I love drawing cabinetry. Sketching is how I brainstorm! And here it is before being installed. What do you think?